After years of official limits, a healthy democracy in Malaysia needs to give students the space to discuss politics. In October 2016, a group of four students stood in front of a public forum at the Universiti Malaya and declared “students want answers”. They had attended an event featuring the CEO of 1MDB, Malaysia’s sovereign wealth fund established by former Prime Minister Najib Razak, who, along with associates, is now being investigated by law enforcement for the alleged theft and laundering of some US$4.5 billion from the fund. At the time, however, Najib’s Barisan Nasional (BN) government was adamant in denying any wrongdoing, despite evidence presented by investigative reporting in the Wall Street Journal and the launch of an FBI investigation earlier that same year. The students – now known as the UMANY4, stood with placards that read “Do not spin the facts of 1MDB” and “1MDB, return the people’s money”. For this simple act of peaceful protest, they were issued disciplinary warnings from Universiti Malaya and fined. This case encapsulates the repressive environment students have faced in Malaysia for decades. The Universities and University Colleges Act (UUCA), also commonly known by its Malay acronym AUKU, was passed in 1971 by then-Prime Minister Abdul Razak Hussein (Najib’s father) to grant the government greater control over universities and their students. Following student protests on campuses in the late 1960s, the law placed restrictions on faculty and students from “expressing support, sympathy or opposition to any political party or trade union … or any unlawful body or group of individuals”. Enter Pakatan Harapan (PH) – the progressive coalition which emerged victorious over Najib’s BN in the May 2018 general election. It was the first time the Southeast Asian country has seen a change of government in its six decades of existence. Pakatan Harapan’s manifesto, known as Buku Harapan, issued prior to the election made 60 ambitious promises. This spanning everything from banning tolls and the unpopular goods and services tax, to “sharing the nation’s wealth in a targeted and equitable way”. As the dust starts to settle, however, Pakatan Harapan is coming to terms with the realities of governance. 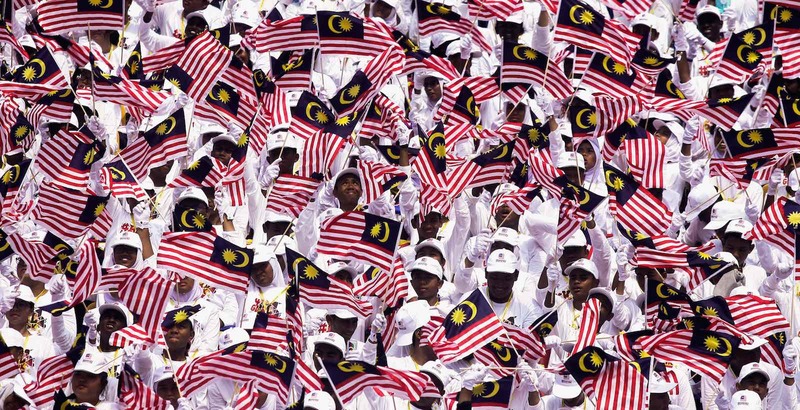 As much of the country celebrated democratic progress in May, the dawn of a “new Malaysia” was proclaimed. The 93-year-old Mahathir Mohamad, who previously served as a strongman prime minister between 1981 and 2003, was key to their victory and returned to the top job. It was nevertheless widely believed that the country was ushering in a more open, democratic era. As the dust starts to settle, however, PH is coming to terms with the realities of governance. Anwar Ibrahim, who is set to take the reins as PM from Mahathir in the coming years, apologised last week for the delaying of several Pakatan pledges. Shortly after Pakatan’s historic win, the Southeast Asia-focused rights watchdog Fortify Rights released its first-ever report on Malaysia entitled No Politics on Campus, detailing the ways in which Malaysian students’ rights to expression, peaceful assembly and association are blocked by the law and university authorities. According to Henry Koh, a Malaysia-based rights specialist with Fortify Rights, UUCA is “highly contradictory to the Malaysian Federal Constitution”, which guarantees the rights to freedom of speech and assembly to citizens. In Malaysia’s now-democratic neighbours Indonesia and the Philippines, student protest movements were key to toppling corrupt dictators and instigating democratic reform. In Malaysia, however, where the voting age is one of the world’s oldest at 21, students’ freedom to discuss politics remain curtailed. “You want them to vote but you don’t want them to talk about how the government is running the country. That’s absurd,” says Asheeq Ali, a student activist who has been targeted by authorities at Universiti Kebangsaan Malaysia, and even charged with sedition by police for his speeches. As recently as December 2016, Mahathir defended his enforcement of UUCA when serving as education minister between 1974 and 1977, stating he had no regrets about the policy and that his “conscience was clear” even though students were expelled from universities for political activity. The students should have been focused on their studies rather than protests, he argued. Given Mahathir’s historical role in enforcing UUCA, the head of the Islamist PAS party has described its removal as “licking up one’s own vomit”. There are signs that PH’s repeal of oppressive laws is slipping. The pledge to repeal Malaysia’s controversial fake news law was this month blocked in the BN-dominated Senate by former government MPs. Members of the Malaysian Academic Movement (Gerak) in May wrote that the newly appointed education minister Maszlee Malik should work to make the nation’s universities “more vibrant, excellent and progressive”. Calling to repeal UUCA and other legislation restricting academic freedom, the academics argued the laws “do nothing to make academia grow intellectually; instead they control and constrain academia for rather idiotic political reasons”. Malaysia’s deputy education minister Teo Nie Ching has asserted that UUCA will be removed – but within five years. “There is also a need to replace it with a new act, so we need some time for the consultation process with the relevant stakeholders,” she said in August. According to Koh, however, the review committee does not include leaders or groups representative of students among its stakeholders. We are yet to see if a leopard can truly change its spots.